How do spiritual landscapes differ from other cultural landscapes? 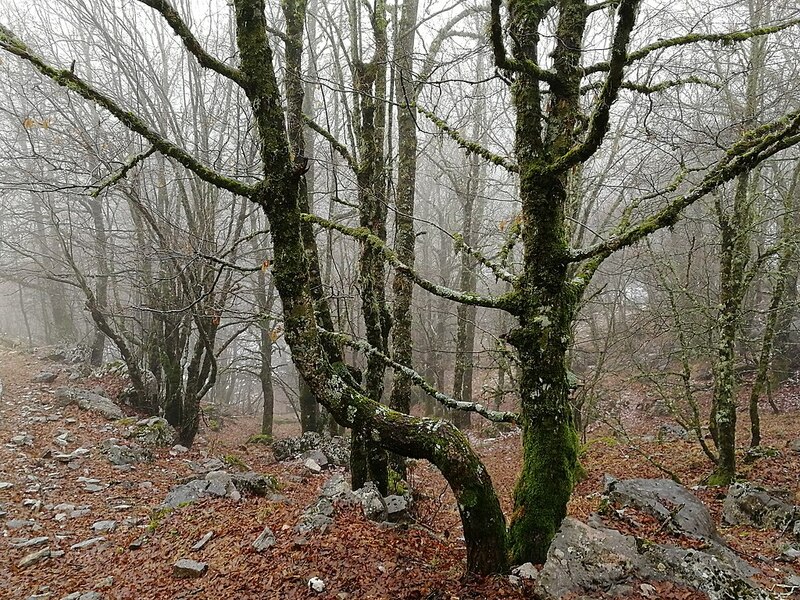 The new study was conducted in “sacred groves” near these in Vikos-Aoos National Park, Greece. A new study examines biodiversity in sacred natural sites. What are sacred natural sites? Sacred natural sites (SNSs) are locations, natural landmarks, or natural geographic features that have spiritual significance to a group of people. Sacred natural sites may include mountains, valleys, islands, caves, or rivers. Although SNSs may have constructed features such as temples and churches, these features are not what make the sites sacred. The physical geography itself is the sacred element. What are some examples of sacred natural sites? Mount Fuji. Shinto shrines dot the base of Mount Fuji. The shrines honor kami, supernatural deities associated with the volcano. Sacred Headwaters. “Sacred Headwaters” describes the single source of British Columbia’s Stikine, Nass, and Skeena rivers. The Tahltan and other indigenous peoples have used the glacial basin as a sacred natural site for more than a thousand years, as evidenced by petroglyphs, ancient fire pits, and grave sites. Devils Tower. Honored as Bear’s Lodge by Lakota, Cheyenne, Crow, Arapaho, Shoshone, and Kiowa peoples, Devils Tower remains the site of summer solstice ceremonies. Uluru. Uluru and its sister site, Kata Tjuta, are the locations of many myths, legends, and traditions of the Pitjantjatjara Aboriginal people. Why have sacred natural sites traditionally enjoyed greater conservation than surrounding areas? How did scientists measure biodiversity in sacred natural sites? Scientists compared the biodiversity in the sacred groves with nearby “control” forests managed conventionally. Epirus’ sacred groves were more biodiverse overall, but were significantly greater in “beta diversity.” What is beta diversity? Consult this article for some help. gamma. Gamma diversity describes species richness across all sites studied. alpha. Alpha diversity describes species richness at specific sites. beta. Beta diversity compares gamma and alpha diversity as a ratio: the total number of species documented (gamma) divided by the number of species per site (alpha). What beta diversity means is that the sacred groves had more distinct communities of species than the control sites. Most sacred natural sites are relatively small. How could conservation at SNSs help biodiversity on a large scale? Identifying and working with stakeholder communities to preserve sacred natural sites would be a fantastic Geo-Inquiry Project! Nat Geo: What is a landscape? Previous Previous post: How Inclusive is Your City?